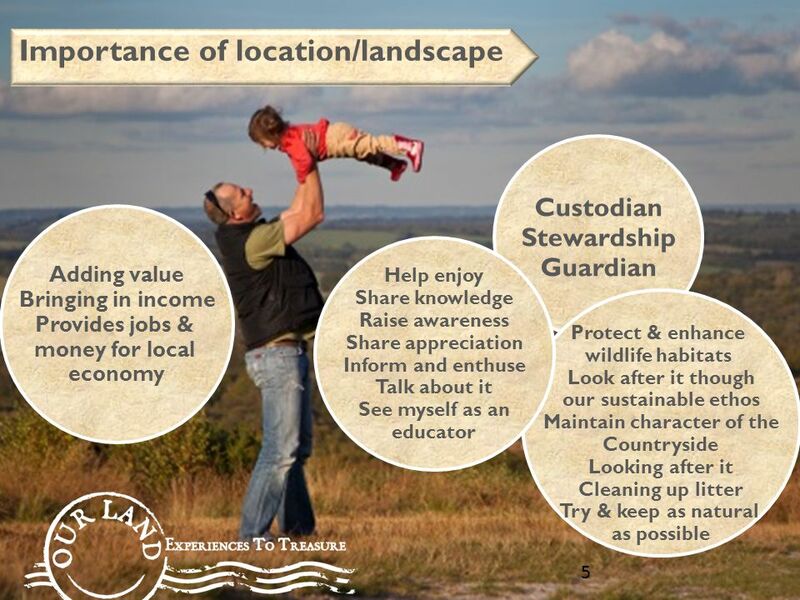 Our Land is a collaboration between protected landscapes, businesses & private sector partner responsibletravel.com to develop and promote sustainable. 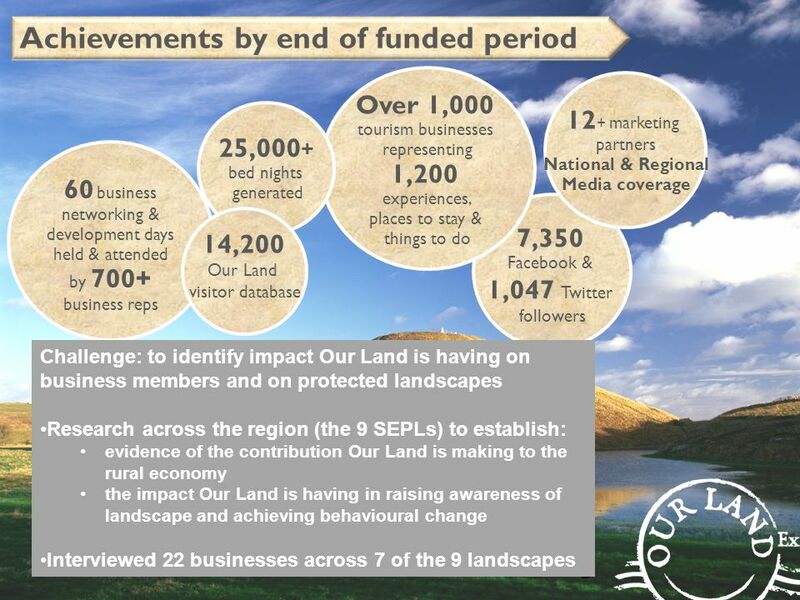 Download ppt "Our Land is a collaboration between protected landscapes, businesses & private sector partner responsibletravel.com to develop and promote sustainable." In Introduction to the Tourism Geography of Britain. 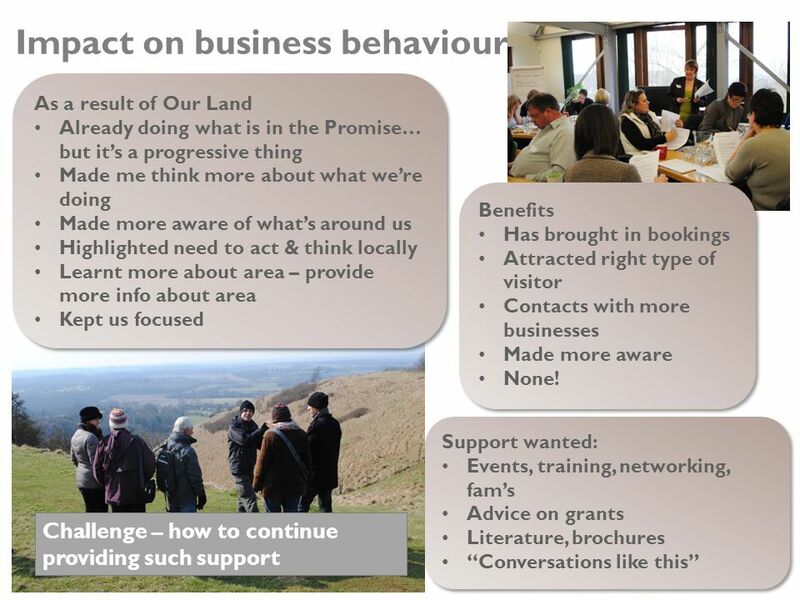 Hetty Byrne Visitor Values: Inspiring Change. Visitor Values What value do we place on tourism? 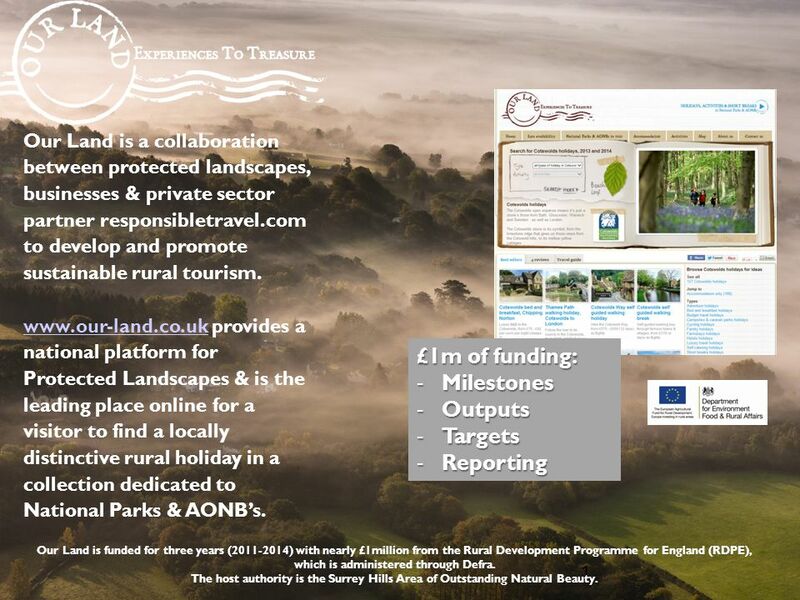 We pay for visitor experiences – is our engagement with. 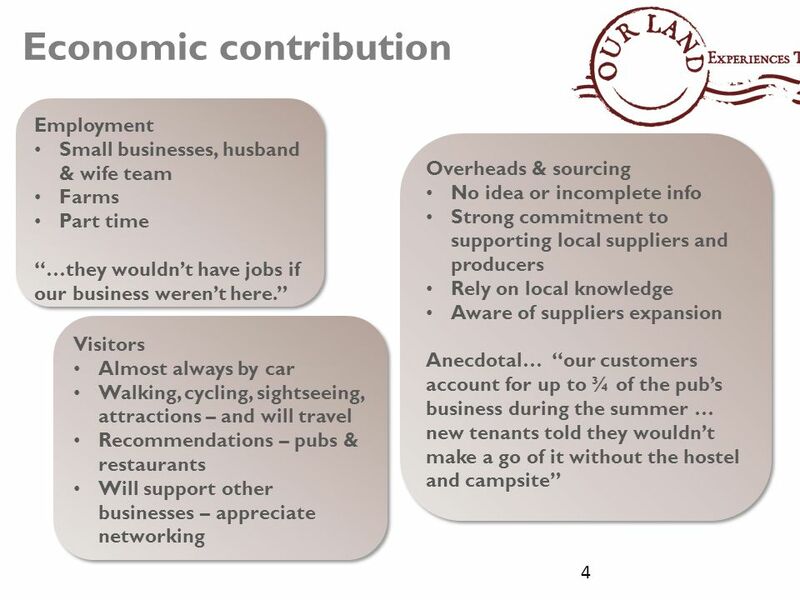 Encouraging Car Free Leisure How to influence visitor behaviour A presentation by Olivia Morris – Policy and Campaigns Officer October 2005. Creating an innovation network Filip Meuris Intercommunale Leiedal Smart Cities Project Director. 1 DG Regio Evaluation Network Meeting Albert Borschette, Brussels, 14 October 2010 Ex post evaluation of Interreg III - Presentation of Final Results Pasi. Rural Development Programme for England Dr Dominic Rowland Defra The European Agricultural Fund for Rural Development: Europe investing in rural. Getting London Working Prepared by David Pack, Partnerships Manager 14 September 2011 The City of London Corporations support for its neighbouring boroughs. Financial Capability Personal Financial Education Paul Frost. Chris Millward 26 May A new settlement for higher education ___________________________________________________________________________________________________________________. Learning from work experience: helping young people identify and articulate learning outcomes Faith Muir and Trisha Fettes Centre for Education and Industry. Cotswolds Area of Outstanding Natural Beauty Designated in 1966 Boundary defined by landscape character 790 sq miles Largest AONB in the UK Third largest. 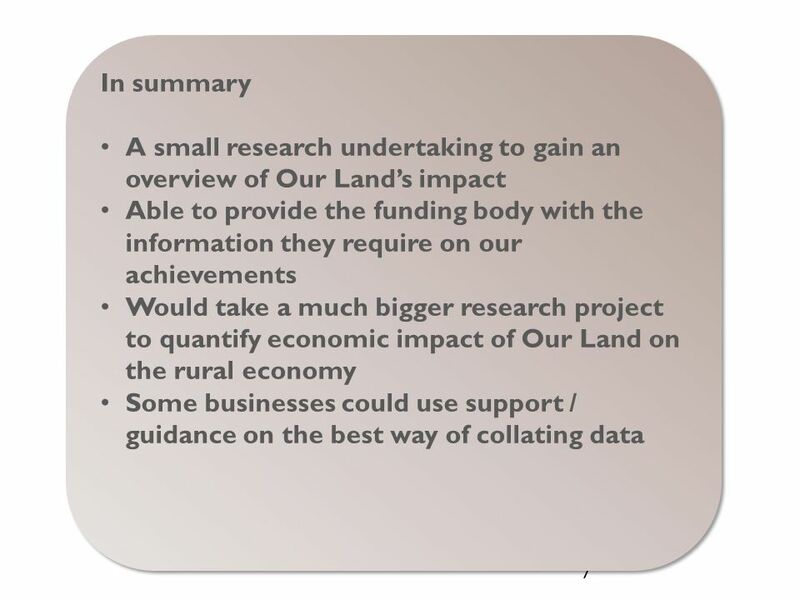 Lincolnshire Research Observatory What support is currently on offer to county businesses? Samantha Harrison Enterprise Growth. 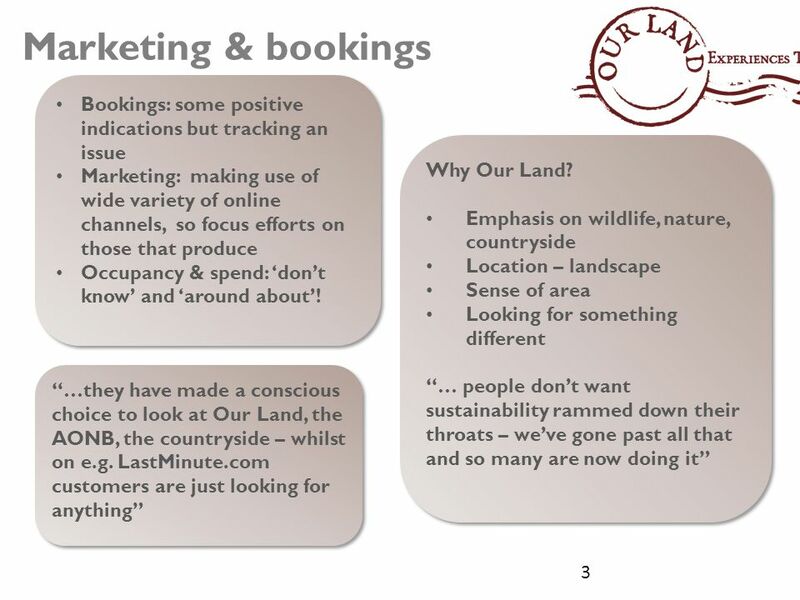  Find out what is COMMERCIAL AWARENESS  What does it matter?  What you should know?  AND work on ELP3. National parks By Stephen Fargher. Where are the national parks in the UK? Collaborations with the Third Sector: Achieving Impact from Research Susan Davidson, PhD Research Adviser Age UK. Watergate Bay Hotel, 10th November 2009 Jacqui Piper - CoaST & Katy Teare – Community Energy Plus The Marine Leisure Industry: leading the charge in going.